The U.S. Supreme Court issued decisions that found the so-called Defense of Marriage Act unconstitutional and that restores marriage equality to California. Here are some key quotes. 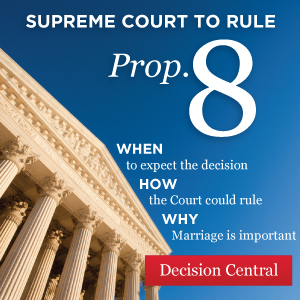 Next week, the U.S. Supreme Court is expected to rule on AFER’s challenge to California’s Proposition 8. Here’s a full run-down of what will happen. We are days—if not hours—away from a final decision in AFER's federal court challenge to Prop. 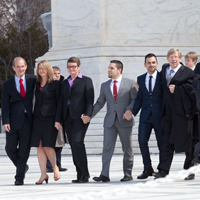 8 and the ACLU challenge to the so-called Defense of Marriage Act. The wait is nearly over. 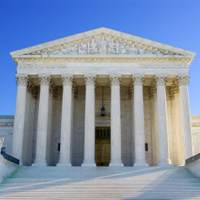 The Supreme Court is expected to issue a final decision on Proposition 8 and marriage equality this month. AFER has put together everything you need to know in our new Decision Center. The Supreme Court is set to rule on Prop. 8 and marriage equality. Find out when the decision might come down and what might happen. The Supreme Court is set to rule on Prop. 8 and marriage equality. 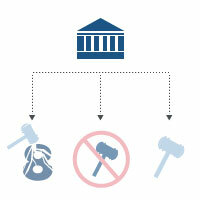 Here’s a graphic about how the court can rule. 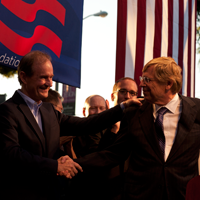 AFER’s distinguished attorneys, Ted Olson and David Boies, will make the case before the Supreme Court that every American is guaranteed the freedom to marry the person they love on Tuesday, March 26.